Need some Tips to make your life easier? Here are some great Hints for you! Health and Safety are very important in our everyday lives. How do I protect myself against diseases? What should I do after I get injured? Do I need to take a vaccine before I travel? 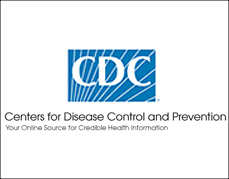 You can find the answer to these questions and others at: “CDC.gov” This site provides direct access to many important health and safety questions you may have, scientific articles, statistics, tools and resources – there are over 900 topics to choose from in the CDC.gov A-Z Index. This entry was posted on Monday, February 7th, 2011 at 4:15 amand is filed under . You can follow any responses to this entry through the RSS 2.0 feed. You can leave a response, or trackback from your own site.